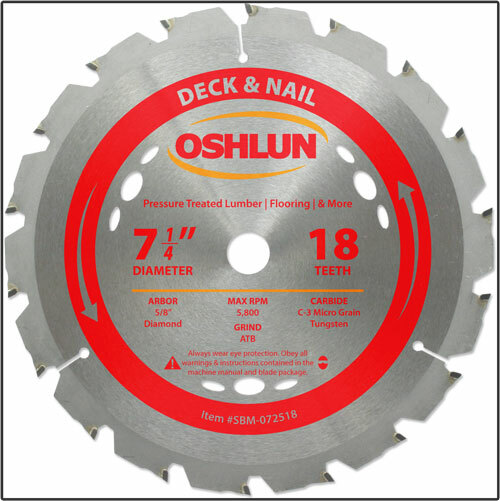 Our deck and nail blade was designed with specially formulated carbide tips to ensure a long cutting life in pressure treated lumber, recycled lumber, decking, and flooring with hidden or embedded nails. It also features a reinforced shoulder design, heat vents, expansion slots, and fits various 7-1/4” portable saws, including worm drives. This is a very popular with contractors due to its rugged design and fast cutting ability.